As more details unfold, the murder case of YNW Melly has the young Florida rapper in a situation that just might leave him with a lethal injection. Police in Marimar, Florida believe that Melly and his co-defendant YNW Bartlen, collaborated in a scheme to fool investigators into believing that their two victims were shot in a drive-by. Early in the morning of October 26, Bartlen, whose real name is Cartlen Henry, drove to the ER seeking help for two of his friends who were in the car shot, allegedly shot in a drive-by. 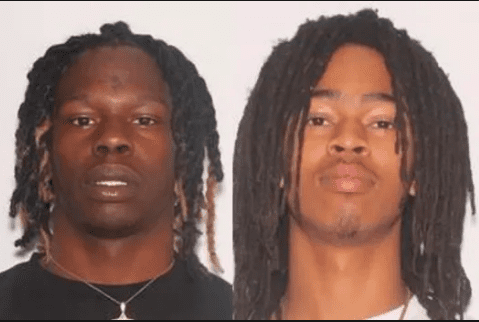 Cartlen told police that a car drove up on the driver side and shot up the driver’s side of their vehicle, which resulted in the deaths of Anthony Williams and Christopher Thomas Jr. aka YNW Juvy and YNW Sakchaser. Police found a shell casing, proving that a shot was fired from inside of the vehicle, along with eight other casings found at a different location that match the one found in the car. Cops also say that after Williams and Thomas were shot, YNW Melly, whose real name is Jamell Demons and Henry drove around with the dead bodies “for a period of time” before they took their victims to the hospital. Henry admitted to police YNW was, in fact, in the same car with them, but got out after Williams and Thomas were shot and got in another car. YNW and Henry have been charged with two counts of first-degree murder. TheSource.com will bring you updates to this story as it develops. The post Police: YNW Melly, YNW Bartlen Rode Around With Friends’ Dead Bodies In The Car, Faked Drive-By appeared first on The Source.